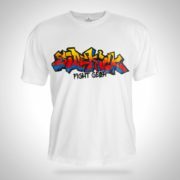 Sidekick kids Fighter Dan 6oz boxing gloves offer a great stylish, safe, eye catching glove for kids. 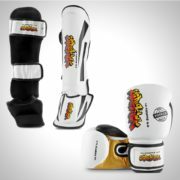 These kids boxing gloves are made in a high quality black and white synthetic leather, providing a safe comfortable and reliable piece of equipment for children in boxing, kickboxing or Muay Thai. 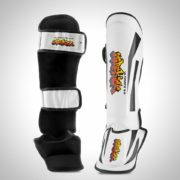 Sidekick boxing gloves are made with a velcro wrist fastening for maximum support and comfort. 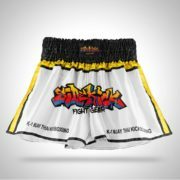 Serving for more than four years, we have understood the growing needs of boxing market pretty well. And we strive to provide the best deals on all products ranging from head guards to foot guards to essential accessories for boys, girls and kids too.